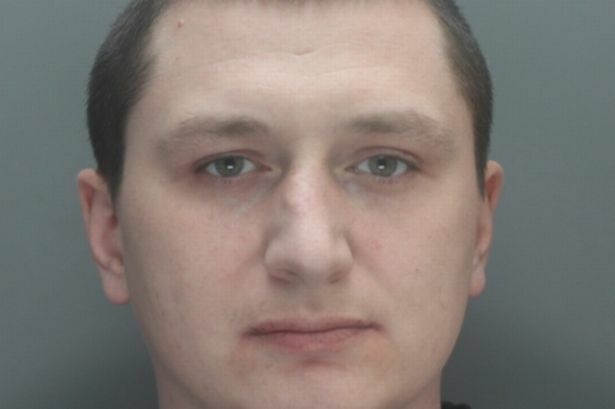 Three far right Polish hooligans recruited by neo-Nazis to fight anti-fascists in Liverpool were today jailed. Opposing factions hurled missiles and caused up to £25,000 of damage to St George’s Hall in ugly scenes on Saturday, February 27, 2016. A woman was left scarred for life, a man suffered a broken nose and a police officer was knocked unconscious outside Lime Street Station. Another officer suffered a broken wrist and an elderly black woman was racially abused and struck in the head by a stone. 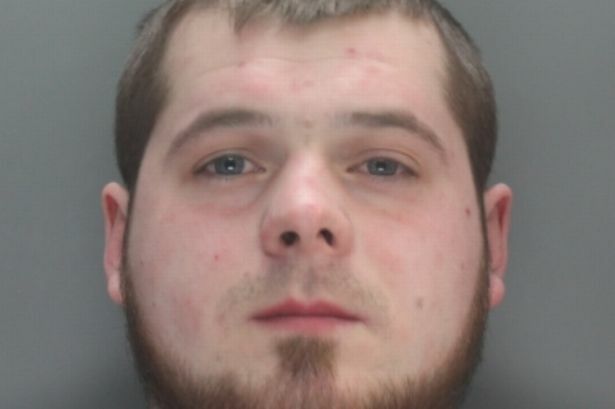 Marcin Reekus, Pawel Starzynski, Lukasz Pietraszek and Michal Nalepka all admitted violent disorder at the start of a trial. 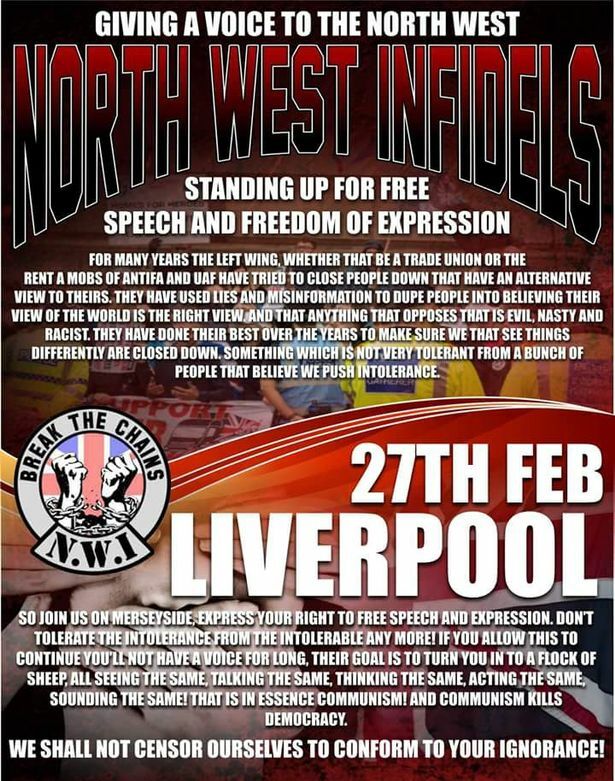 Liverpool Crown Court heard how they were recruited by event organisers and North West Infidels members Shane Calvert and Wayne Bell. 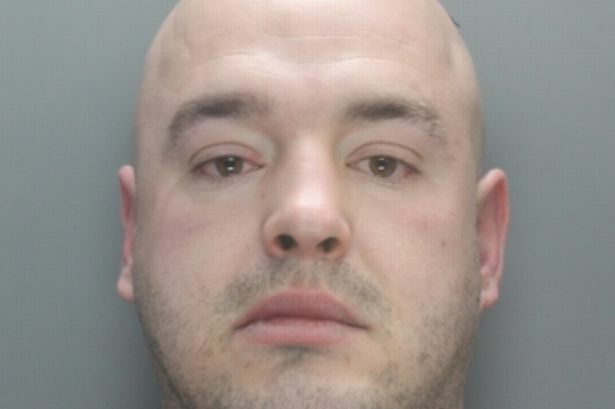 Convicted crack cocaine and heroin dealer Reekus, 31, was described as the “principal organiser” of the “Polish Hooligans” group. He ran a ‘Polish Ultras’ Facebook page and after being contacted by Calvert, sent him a poster confirming they would fight side-by-side. Reekus knew the “anti-immigration demonstration” was being moved from Manchester to Liverpool – a deliberate ploy to try and trick police. Simon Driver, prosecuting, said Reekus did not get out of the train station, where he was pictured posing with a Polish flag. But a second group of fascists gathered on the steps of St George’s Hall, where neo-Nazi flags were flown amid ‘sieg heil’ salutes. Police spotted 10 to 15 men in a car park in Craven Street near TJ Hughes, who Mr Driver said “made no secret of their designs”. Some wore black hoodies emblazoned with “Polska Hooligans” and badges showing a person being kicked, captioned “good night left side”. The group – including Starzynski, 36, Pietrazek, 28, and Nalepka, 33 – doubled in size then “descended in unison” to the hall. 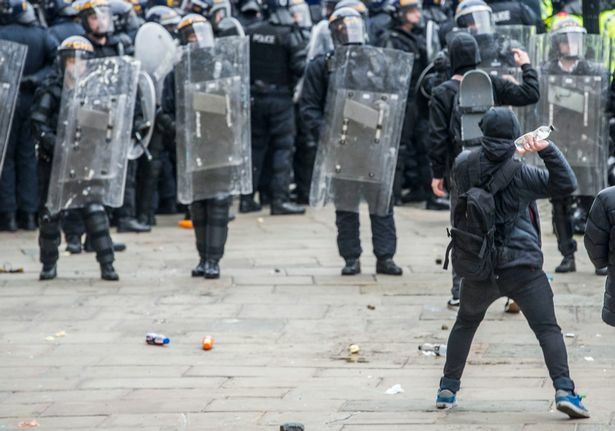 Police came under attack from both sides with industrial fireworks, flares, bottles, cobble stones and eggs at around 2.30pm. 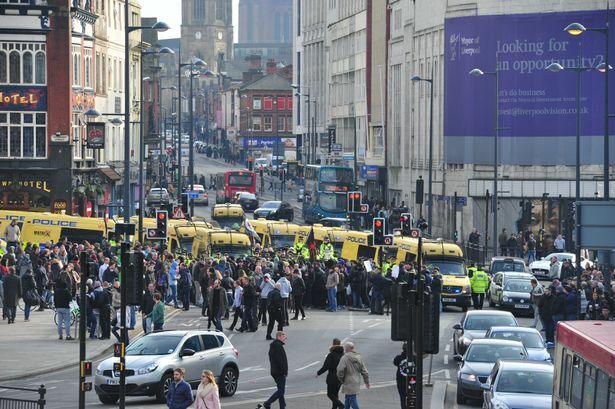 After four and a half hours, officers encircled the right wing supporters and marched them back to Lime Street Station. Police recovered a pepper spray canister from the steps and knuckledusters, a baton and a dog chain from the area where the Poles were held. Starzynski was arrested and his mobile phone revealed his number had been used for arranging transport on a “f*** Islam and ISIS” event poster. He had talked about buying the hoodies, one of which he wore when he ran to the hall and threw a smoke canister at counter-protesters. He was recorded wearing a clown mask, which he took off to reveal a gum shield, and “sparring mitts” on his hands. Pietrazek also wore one of the hoodies and his phone showed he was responsible for buying and distributing the tops. He had exchanged text messages with a man about fighting “lefties”, saying a “decent crew” was going from Preston, Leeds and Crewe. Nalepka, who wore his own grey top, was recorded with his face covered and wearing gloves with padded knuckles. Nalepka was pushed back by officers, but later breached a cordon, only to be assaulted by counter-protesters. Judge Andrew Menary, QC, imposed criminal behaviour orders, banning all four men from entering Liverpool for five years. He said many of the “self-styled Polish hooligans” wore “deliberately intimidating face masks” and tops bearing violent imagery. Reekus, of Bradford, West Yorkshire, was jailed for 23 months and Starzynski, of Ware, Hertfordshire, and Pietraszek, of Hayes, West London, for 20 months each. Michal Nalepka, of Harlow, Essex, was handed 20 months in prison, suspended for two years, plus a 25-day rehabilitation activity requirement. Judge Menary said Nalepka must perform 250 hours of unpaid work and pay £500 in compensation, to be split equally between the five victims.